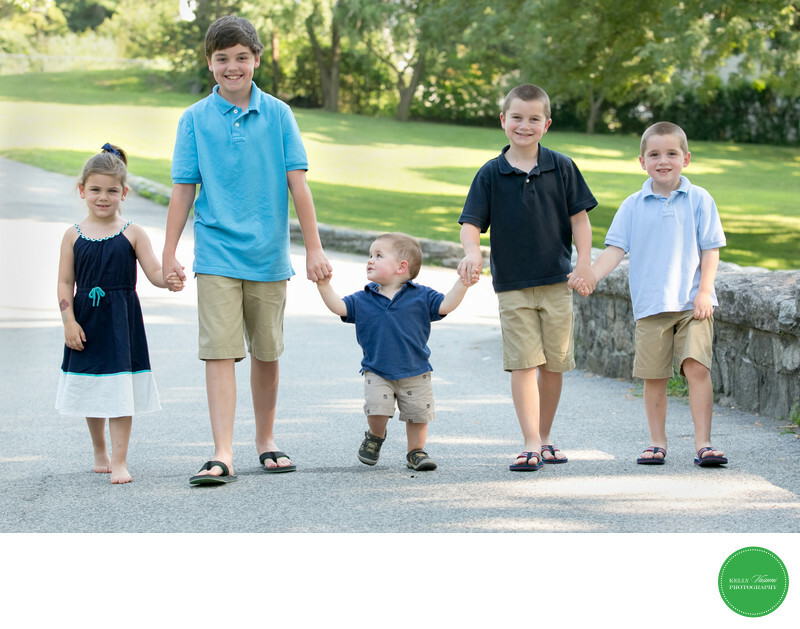 This wonderful group shot of cousins is an image any set of set of parents and grandparents would just adore. All dressed in summer khaki shorts and dress, the photo is intentionally set up to create a jagged line of heights, creating interest for this group image. Smiles all around and it's great to see them walking as you can really see their age differences....and will be a fun image to look back on one day, citing how little they all once were.